California State University, Northridge’s mobile app competition, AppJam 2016, is right around the corner and encourages undergraduate and graduate students from all majors to participate. The project was just acknowledged by this year’s NMC Horizon Report as a cornerstone project to support emerging technologies impacting higher education. NMC is a global nonprofit association of universities, colleges, museums and research centers exploring the impacts of media and technology on higher education. 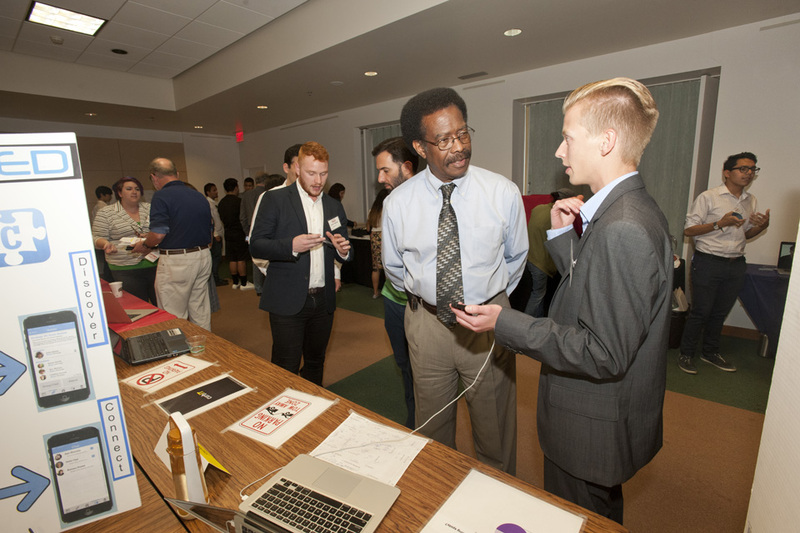 In 2015, 24 teams participated in AppJam, contributing their ideas on how to create helpful mobile applications for the CSUN community. The winning app, Matador Patrol, will be implemented in CSUN’s official mobile app and will provide students the option to be escorted by guards if they feel unsafe walking alone on campus. This year, in addition to cash prizes, AppJam has partnered with Bixel Exchange, Los Angeles Area Chamber of Commerce’s technology incubator, and the Los Angeles Cleantech Incubator (LACI), recently ranked third-best university-affiliated incubator in the world by UBI Global. LACI has successfully partnered with CSUN on LACI@CSUN for more than a year. The incubators will help the winning student teams advance their apps through expert advice and networking. The judges, drawn from a pool of CSUN faculty, staff and outside experts, will evaluate the apps according to innovation, market potential and user experience. The winners will receive cash prizes and professional startup counseling from Bixel Exchange and LACI. The application deadline for AppJam is March 3. Participants may apply as teams, as well as individual students who want to contribute their ideas or coding skills. AppJam coordinator Greg Mena will help place individual students in teams. The competition is open March 3-30 and students will showcase their work on Wednesday, March 30, in the Northridge Center of the University Student Union. Winners will be announced the same evening. For more information and registration, visit http://www.csun.edu/it/appjam.